I hope this New Year brings you and your family Health, Peace of Mind, and Happiness. As the Holiday break comes to an end with kids going back to school and parents going back to the work, it seems winter has finally arrived. 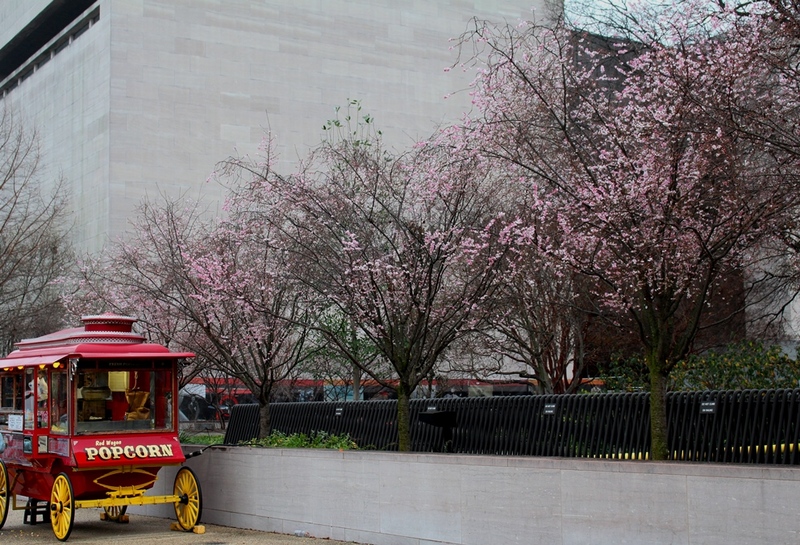 However, Mother Nature is really confused because during a recent visit to the Natural History Museum in DC, I saw daffodils in bloom and Cherry trees with blossoms! And I got the pictures to prove it. It has been crazy weather! Before the Christmas season is over (Epiphany is January 6), I have to tell you that I have enjoyed very much seeing all the Christmas Lights decorations in our neighborhood. Wow, just simply gorgeous! I think there were more lights this year which I am happy about. Thank you to all for making the effort and contributing to the beauty of our neighborhood during the Holidays! Once Again, I went around taking photos and here are some of them. I hope you enjoy them.